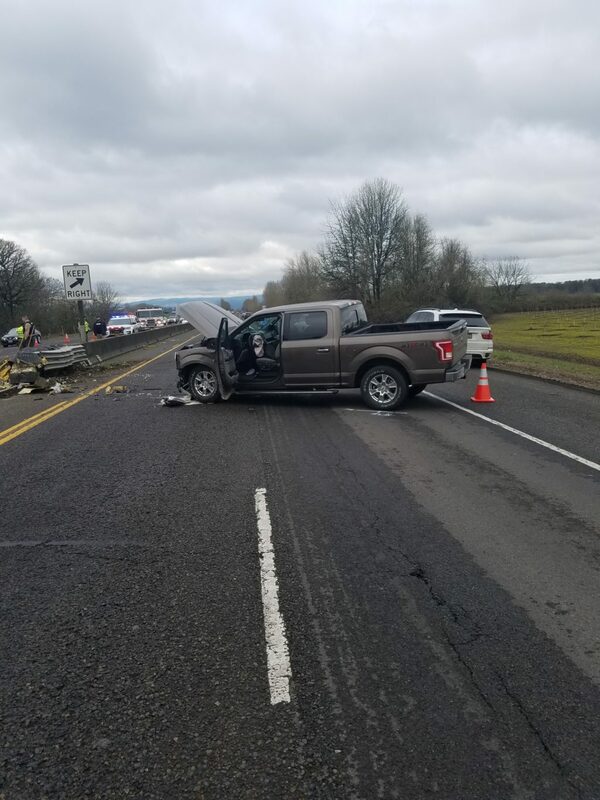 On Saturday, February 2, 2019 at approximately 1:00 P.M. Oregon State Police Troopers and emergency personnel responded to the report of a single vehicle crash on Hwy 22W near milepost 17 in Polk County. Preliminary investigation revealed that a 2017 Ford F-150, operated by Wilmer Post (82) of Monmouth, OR. was traveling westbound on Hwy 22W when for an unknown reason drifted into the median and collided with a highway barrier. Post was pronounced deceased at the scene.